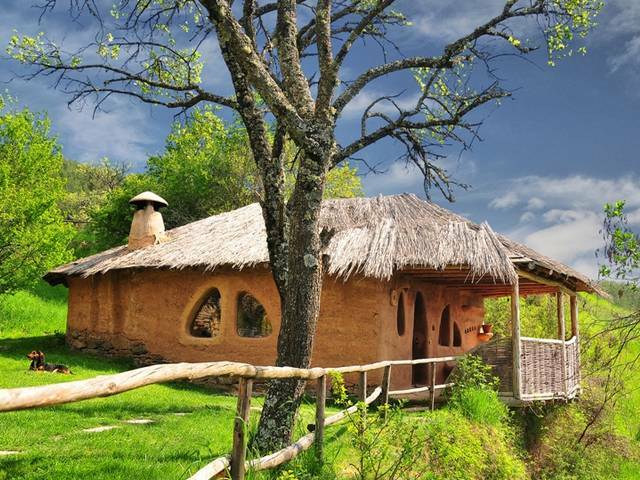 The famous 'Clay House' at Vacation village of Leshten, situated in the southwest end of the Rhodope mountains, about 220 km from Sofia, Bulgaria. The house seems like from the Stone Age, but it is newly built, made ? ?with an exclusive fantasy in a unique architecture style and combination of modern conveniences.